I have recently noticed many people who suffer with migraines, like myself, also have other health issues that can possibly cause, or at the very least increase, headaches. With my migraines, I never know when my other health issues are connected to them, or if my migraines are a stand-alone problem. I have been diagnosed with fibromyalgia, Raynaud’s syndrome and Hashimoto’s disease (issues with the thyroid and migraines are a common issue), and though it took years, I was diagnosed with lupus after the birth of my son. I seem to be collecting health issues and some of them can cause severe headaches. My migraine diagnosis came first though, and my doctor believes it is something that occurs separately, on its own, though at times maybe initiated by my other conditions. Over the years, I have been checked for a number of other conditions and diseases, including multiple sclerosis (MS). In fact, I had never gotten the all-clear on possible MS until recently, when I went to a new neurologist who identified the tell-tale white lesions on my brain as not being a sign of MS, but one typical of some people with lupus. What I have learned by talking to my neurologist is that some of the diseases I have can actually inflict a similar set of symptoms upon me. If it were not for certain tests and markers, I might not have the full diagnosis I do, because so many of my symptoms overlap. The same is true with migraine. I was diagnosed in my 20s and now, in my 40s with so many other health issues that cause severe headaches that last days, it is hard for me to tell what is a migraine headache attack or what could be a chronic symptom of something else. Unfortunately, the treatment for your headache varies, determined by its true cause. So, if you have migraines and other diseases or conditions that also cause headache, be certain to talk to your doctor about your treatment plan. One reason some medications do not always work for a migraine sufferer is the cause of a portion of their attacks may actually be something else. There are a few noted health conditions and diseases that may be adding frequency to your headache attacks, taking the form of either non-migraine headaches or acting as an actual trigger for a true migraine. Does Having Migraines Increase Risk of Other Conditions? According to a study published in the Journal of Neurology, middle-aged people who suffer from migraines with aura have double the risk of developing Parkinson’s disease or other movement disorders later in life than those who do not. Doctors at Catholic and La Sapienza universities in Rome identified celiac disease as a potential cause for migraines. The study, reported in the American Journal of Gastroenterology, found that of the 90 migraine patients in the study, four had previously undiagnosed celiac disease. Those four patients were placed on a gluten-free diet, and all experienced fewer, milder headaches over time and one of the patients was cured of migraines. Studies also showed that the gluten-free diet improved blood flow in the brains of all four patients. Some studies have shown Crohn’s disease can also cause very severe headaches. So, if you also suffer from migraines, it would be hard to determine which one was the root cause of your headache attack. As a lupus patient, I get what is known as lupus headache, which can last for days, and are so severe it is hard to get out of bed. It can affect my ability to think clearly and even see clearly. I never really know if it is lupus or a migraine. 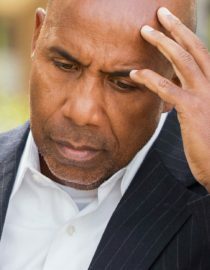 There was some concern about the connection between migraines and dementia, but current research has proven that while migraines can increase the risk of stroke, they do not increase the risk of developing any form of dementia. With the headache attack, I have difficulty thinking and saying the words I want to come out of my mouth. It has made me wonder whether I am having a stroke. Loss of vision. I had several occasions where I lost partial sight in one eye, like a window shade had been pulled part of the way down — only the bottom half showed and the rest was black. Headache with memory issues. I cannot easily remember the names of anyone I meet. Brian fog, feeling lost and confusion can happen. Dizziness. Sometimes my equilibrium is off and I am dizzy in the shower when I close my eyes or if I get overtired. Nausea and vomiting with the pain. Headaches that last for three days straight. If you have had similar symptoms and have been looked at for other possible diseases along with migraine, it never hurts to pursue the possibility with your doctor that you have more than just migraine causing your pain. If you have already been diagnosed with other co-morbid conditions or diseases that can cause severe headaches, talk to you doctor about the possibility that you need a plan B for headache pain treatment. What will treat migraine will not necessarily help a lupus headache, for example. Some medications you take can actually irritate your other conditions too. Taking nonsteroidal anti-inflammatory drugs (NSAIDs) for your migraine while also having Crohn’s disease can cause a major flare of your Crohn’s. Unfortunately what is good for one might not be safe to use as treatment for the other. It is important that your team of doctors communicate with each other so all your health issues are taken into consideration in your treatment plan options.